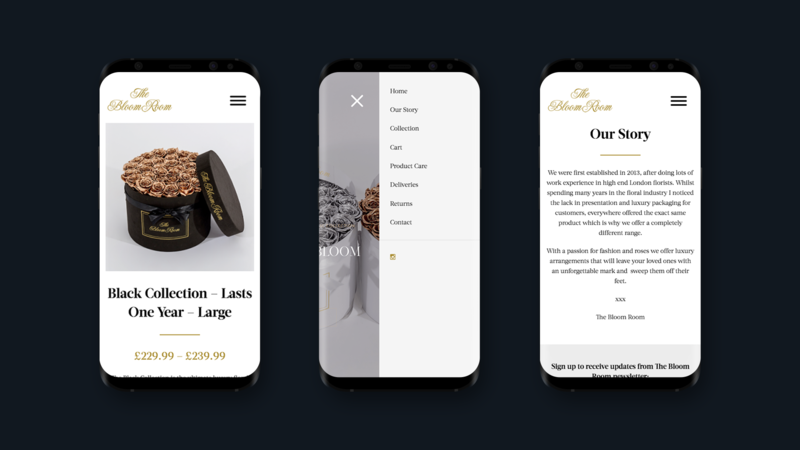 When speaking with The Bloom Room team we understood that the issue they had with their first website was the lack of a cohesive and easy user experience. 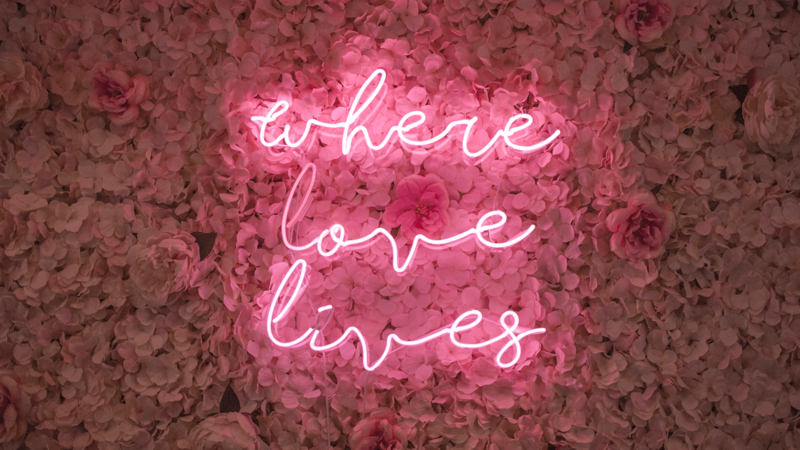 We wanted to incorporate strong photography with, a typography that matched the unique feel of the Infinity Collection we worked closely with The Bloom Room to make sure we captured the beauty and the elegance of the flowers. 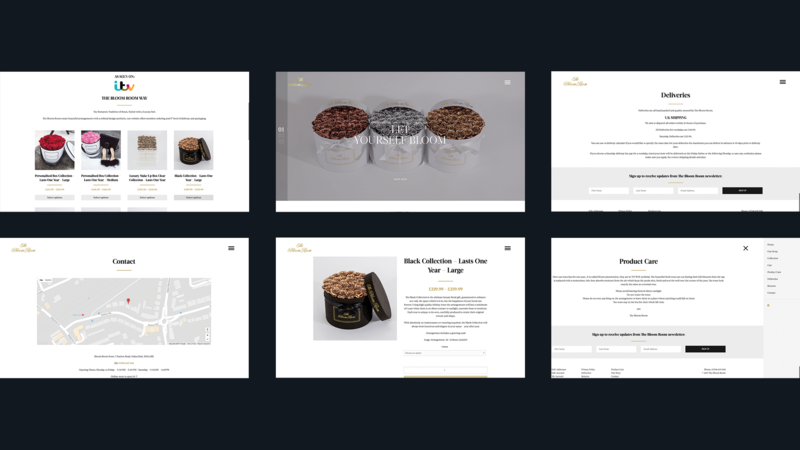 They wanted something that matched their brand simple but a luxury feel. They wanted the e-commerce to be lightweight and simple for them and customers to use. 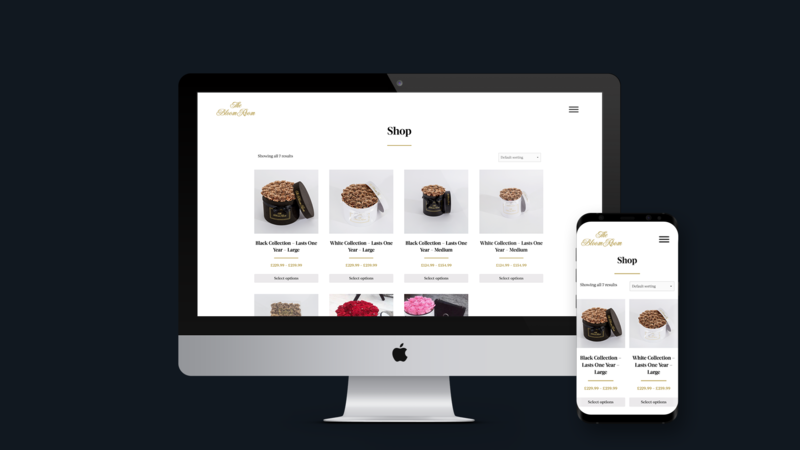 They wanted an experience that transported from desktop to mobile devices making it easy for all customers to purchase flowers via the site. The experience is paramount and should always be seamless, they wanted users to find the experience cross-platform so easy from viewing the product to check out. 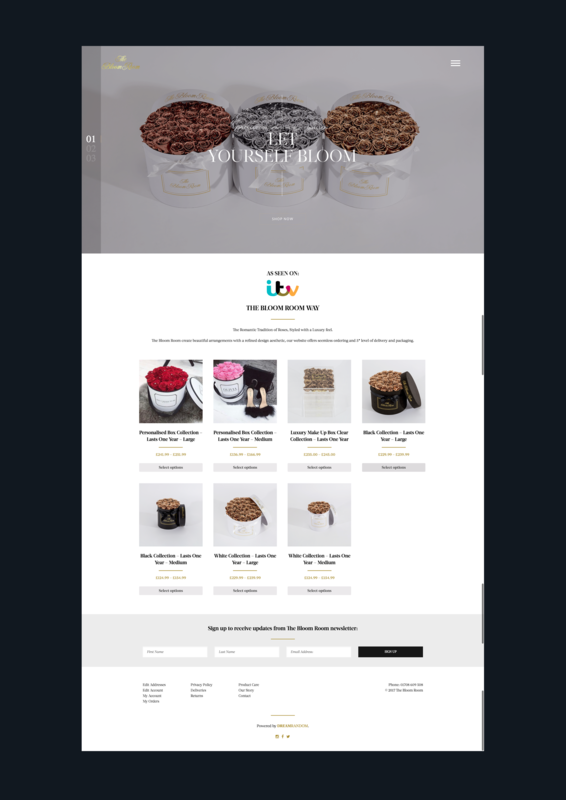 The website shows of the high visuals and high quality of their product whilst making navigation and purchasing an easy and enjoyable experience.